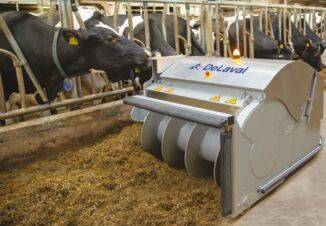 In virtually every dairy operation, feed is the number-one expense. But you might be surprised to learn that the indiscriminant loss of those feedstuffs actually ranks number four or five on many farms’ expense ledgers. David Greene, dairy nutrition consultant with Barton, Kiefer and Associates Consulting Group, La Follette, Tenn., told the audience at the 2018 Dairy Calf and Heifer Association that shrink often is measured strictly in terms of wasted feedstuffs. Spoiled feedstuffs, feed that goes unconsumed, and even feed that blows away during TMR mixing on a windy day, all contribute to shrink. But so, too, does wasted or lost time during feed management; unnecessary expenditures of fuel and energy; and use of other unnecessary inputs. 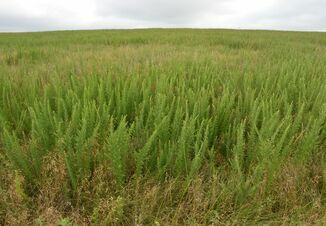 The forage area – before, during and after harvest. During loading and mixing of the TMR. In the barn or feeding areas during and after. 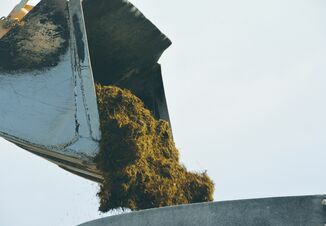 In a year-long evaluation of 21 dairy herds that Greene personally conducted, he found losses as high as 16% for corn silage; 18% for haylage; 18% for bulky dry ingredients like whole cottonseed; and 20% for wet byproducts. The nutritionist also noted a great deal of time and energy often are expended to secure the best prices for feedstuffs. Yet when the ingredients are delivered to the dairy, they go unmanaged. The shrink that occurs could negate any “bargain” price that may have initially been secured. Reducing feed shrink starts with a walk-through audit to determine where losses are happening in your operation. Next, write goals and management protocols for everyone on the dairy to follow. “Everyone from the management team to the feeders need to follow the set protocols and be committed to reach the set goals,” said Greene. He suggested an initial goal of 7% total shrinkage or less for all feedstuffs.